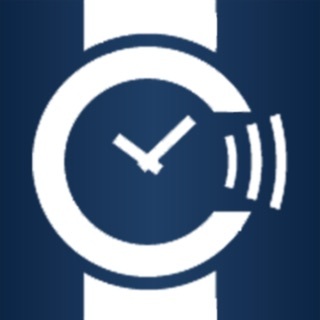 To upgrade your Pebble Classic or Pebble Steel to the new 3.0 operating system with timeline support and the latest improvements, please download the “Pebble™” app from iTunes. The Pebble smartwatch connects to your iPhone and other iOS devices using Bluetooth, alerting you to incoming calls, emails, messages and alerts. 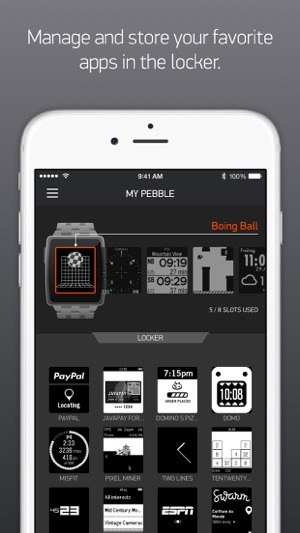 Customize your Pebble with over 1,000 watchapps found within the Pebble smartwatch app. 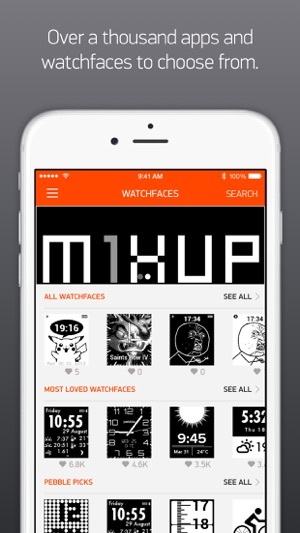 • Browse, find, and install watchapps and watchfaces for Pebble. 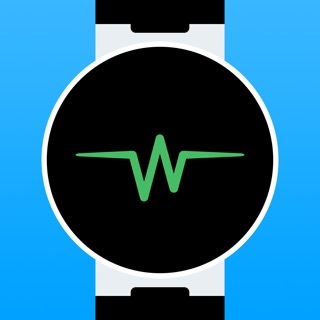 • Discover new and most popular watchapps by category: notifications, fitness, daily use, tools & utilities, remotes, and games. 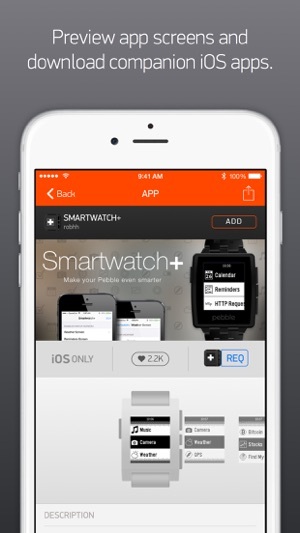 • Watchapp locker: conveniently store your favorite Pebble watchapps when not in use. 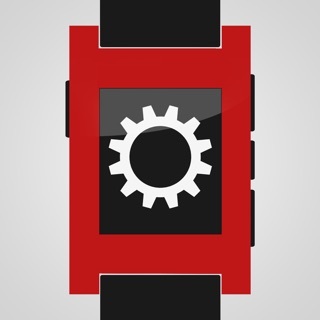 • Receive notifications when software updates for Pebble are ready to install. 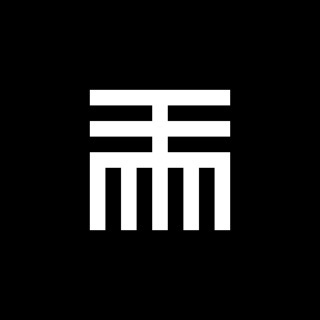 • Troubleshoot issues and make suggestions right from the app. 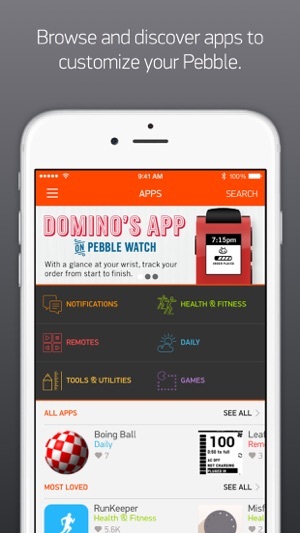 • Some Pebble watchapps use the location services of your iPhone/iPod in the background and can decrease its battery life. 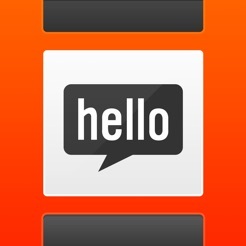 App-Version 2.6.2 (iPhone 4S) und Pebble mit Firmware 2.8.1 und alles funktioniert wie es soll. Die Sprache in der App und in der Uhr sind auf die deutsche Sprache gestellt. Ich erhalte alle Meldungen die ich in der Mitteilungszentrale eingestellt habe. Akku-Probleme habe ich keine festgestellt. Die App sieht super aus und hat bei mir einwandfrei funktioniert. Das Design und die Navigation finde ich durchdacht. Sie bietet überall noch Platz um die Funktionalität zu erweitern. Auch ohne Anleitung leicht zu bedienen. 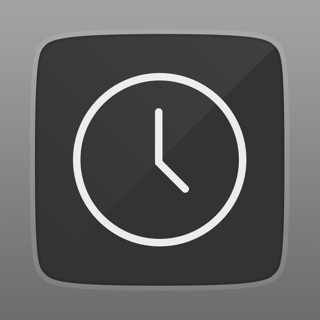 Die App könnte ohne eine Uhr wirklich etwas mehr von sich preisgeben und damit Vorfreude/Kaufentscheidung unterstützen. 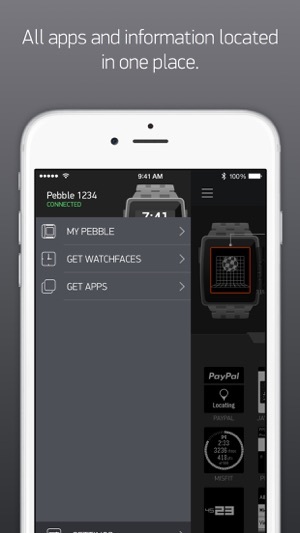 © 2014 Pebble Technology Corp.